Marshall Conversions will retain warmth in the winter months of November to March. 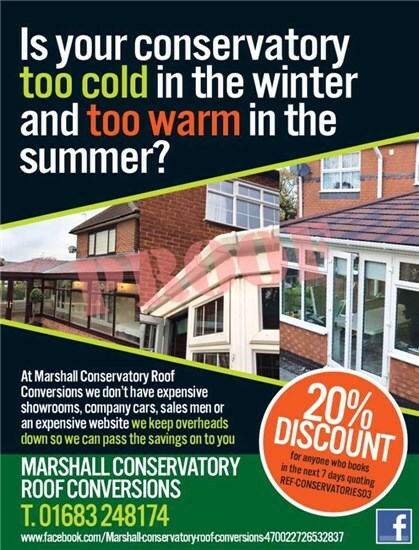 Marshall Conversions will keep your conservatory incredibly cool on sunny days even in direct sunlight. 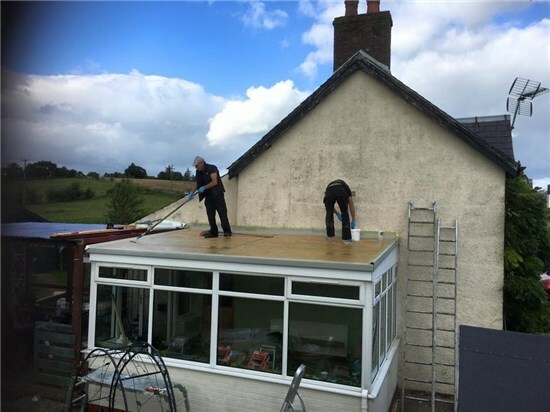 Marshall Conversions will eliminate any leaks experienced with lightweight polycarbonate roofs. Marshall Conversions are virtually burglar proof and the roofing tiles cannot be easily removed. Marshall Conversions will add real value to your property. Marshall Conversions will eliminate almost all glare experienced with polycarbonate or glass roofs. All tiles have been tested for a great number of years in extreme weather conditions for safety, giving you total peace of mind. 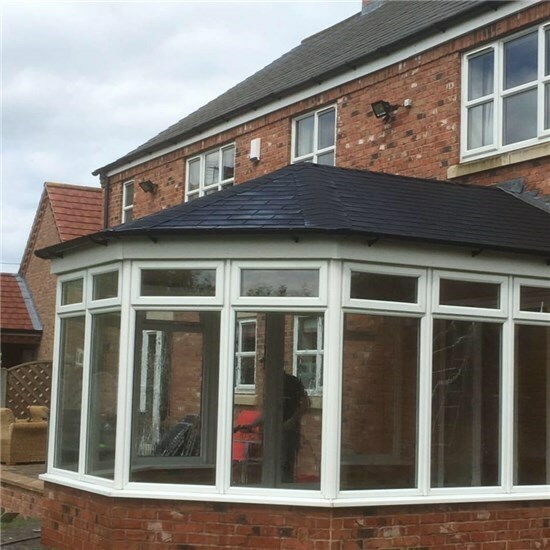 Every tiled conservatory roof that Marshall Conversions creates is bespoke fabricated to the exact size and specification for your roof design. There is a wide choice of roof styles and a good choice of tile and slate colours. Each task/installation and plastering requires a different amount of time to install. 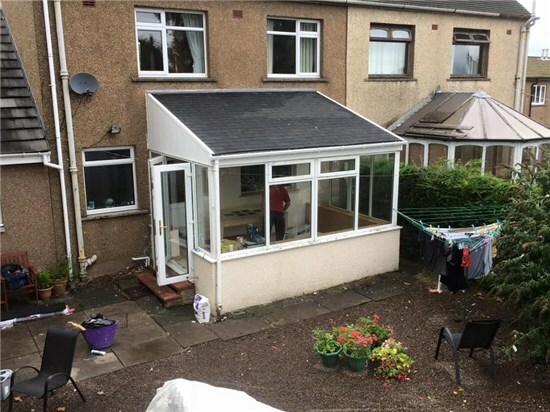 Installation is normally quick but detailed in order to transform your old conservatory. There is minimal disruption for you to regain maximum use again all year round. We use all the top manufacturers materials for our projects; many of which we would consider high quality. All of our estimates are free of charge and attended when best for yourself. We will give you as much advice as necessary or as you require. 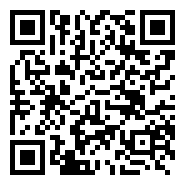 We will be honest and do our best to save you money and source the products that your home and budget require. We never accept any payment until the job is finished, everywhere is clean and tidy and the customer is 100% satisfied. To be as competitive as we can, each job is quoted on an individual basis. Too hot in the summer months of April to October. Too cold in the winter months of November to March. Excessive traffic, wind, wildlife and adverse weather noise due to poor insulation throughout. Glare into the conservatory from direct sunlight with poly carbonate and glass roofs. Breakdown and failure of unit seals due to poor build and quality. Regular maintenance required due to poor part and construction quality. Discolouration of the UPVC profiles during summer months due to poor build quality. 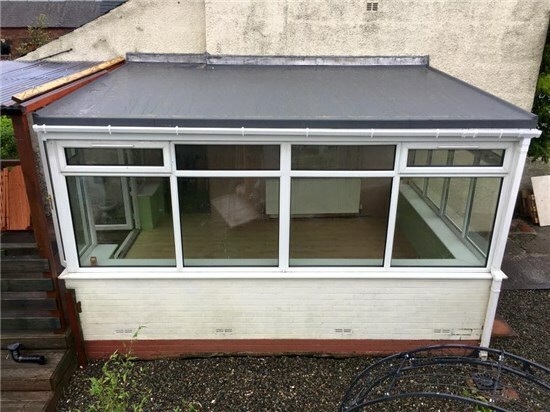 Unsightly tie bars with poor workmanship and poor roof system design. Limited access to glass or poly-carbonate roof buildings above for maintenance when required. 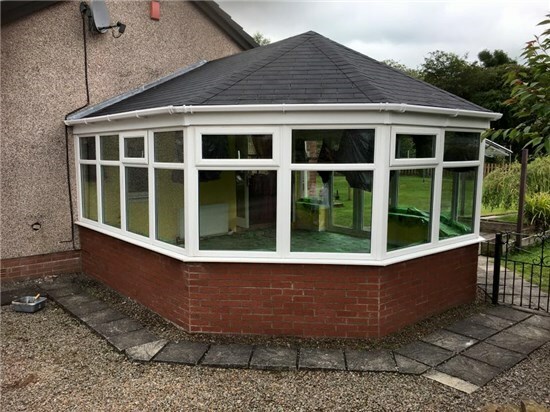 Marshall Conversions are fully qualified to perform roof tile conversions to conservatories and garages that fix many, if not all of the above issues associated with glass roofs.